Ben Michaelson was a Division II swimming standout, graduating from Southern Connecticut State in 2003. He was a three-time NCAA Division II swimmer of the year and US National Team Member 2002-2005 competing in the Dual in the Pool and Pan American Games, and 2004 SC World Championships. 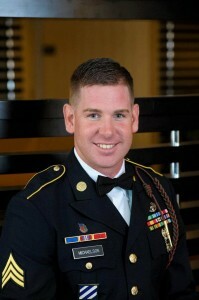 Ben has severed in the US Military as a combat medic since 2008. He is currently stationed overseas representing the US in another way. This interviewer was personally fortunate to watch one of Ben’s top swimming performances at a 2003 DII conference meet at Rutgers University. Ben went a blazing 45.87 in the 100 butterfly, which was the 2nd fastest performance of all time! 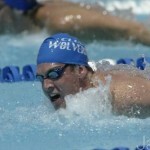 Ben has been an inspiration to many in the water and even more out of the water! 1. 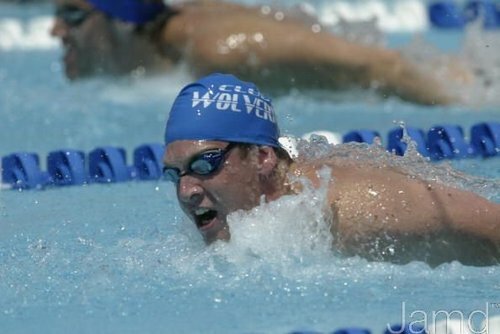 You had quite an inspirational journey in our sport: swimming Division II, then professionally along side Olympians Michael Phelps, Davis Tarwater, and Peter Vanderkaay at Club Wolverine. How were you able to make that transition? Since I wasn’t a standout in high school, I was barely noticed by D1 schools, and found a great program and a great coach at Southern Connecticut. I improved steadily in each of my 4 years there, and by the time I graduated, I was ready to take my career to the next level. I was extremely fortunate to be invited to train with Club Wolverine. Being surrounded by some of the best swimmers in the world every day was an incredible experience, and it was certainly challenging at times. I wasn’t used to getting beat in practice, but training with guys like Michael, Davis, Peter, Klete Keller, Chris Thompson, and Chris Dejong certainly took my training to a level I didn’t know existed. Those guys definitely gave me lots of encouragement along the way. 2. Have you been able to put your incredible swimming skills to use lately? Not since I’ve been in Afghanistan, but I’m looking forward to coming home and doing some training and competing at the Masters level. I’ll be getting out of the military in 2013, and I can’t wait to have more time to swim and ride my bike. 3. What have you learned from swimming that has translated to use in the military? Swimming teaches discipline, the value of hard work, and it teaches young people about delayed gratification—that is, training for months or even years at a time before you see the end result. These are all invaluable skills that soldiers need, and as a leader, I spend considerable time teaching these lessons to my soldiers who didn’t have a coach to teach them about these values as kids. Also, getting up for PT (Army-speak for Physical Training) before the sun rises is no big deal when you’ve been doing it your whole life! 4. Often time’s athletes are overwhelmed with pressure to perform. Please offer perspective to young athletes, referencing your experience in swimming and now in the military. As an athlete, I certainly felt the pressure to perform. Whether its making a cutoff time, earning a scholarship, or winning a medal at a major competition, we all want our performance to reflect the amount of hard work that we’ve put in. I was often able to channel that pressure and use it to my advantage, but sometimes my head got in my own way and my performance suffered. Something that I have learned, and perspective that I have gained through my military service, is that no matter what, swimming is just a sport, and its just for fun. Don’t forget why we all swim in the first place: because we enjoy the camaraderie of being on a team, we enjoy being physically strong and fit, and we enjoy the thrill of competition. Nothing at a swim meet is a matter of life or death. Nothing will explode. No one will shoot at you. Generate positive energy and feed off of it; don’t be overwhelmed by any situation. Remember, sports are important, but not so important that we should make ourselves mentally crazy or physically sick about it. The best athletic performances come from athletes who describe themselves as loose, relaxed, and “in the zone”. 5. How does representing the United States athletically compare to now representing the United States as a service member? 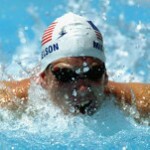 I am equally proud to have represented the United States as a swimmer and a soldier. I am fortunate to have had the opportunity to do both. It’s hard to draw a direct comparison between the two, because it’s completely different. Each time I got to swim for the United States, it was in a cool city, I got to stay in a nice hotel, eat at nice restaurants, and swim in the best pools. 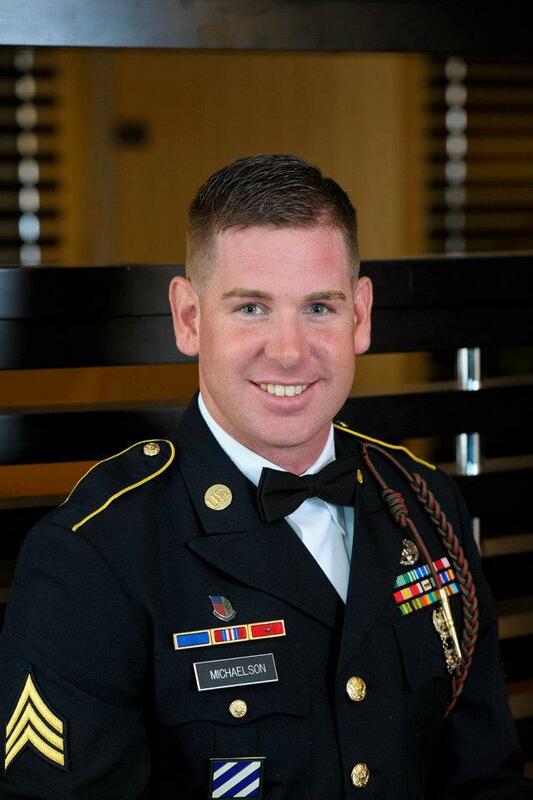 In Afghanistan, I live in a tent, eat lousy Army chow, and work all the time with no days off. Swimming was definitely a lot more fun!